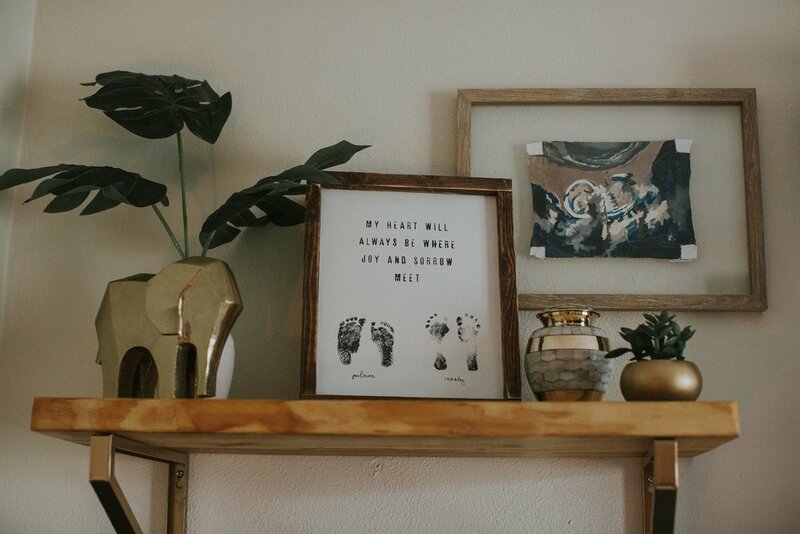 The Edelen Family | A Nursery Project — Helping people to see that their honest, messy, normal lives are beautiful. Shawn and Alli Edelen are some of my favorite people and definitely the kind of people that everyone wants to be around. You know those people - the kind that are quick to think of others first, that care and invest in the lives of those around them, that are fun and full of joy. The kind of people that make you want to be a better person. So it is no surprise that as they faced a difficult time in life, there were hundreds of people that wanted to walk right along with them. Shawn and Alli were expecting twins when they learned that one of their sweet babies no longer had a heartbeat. Later that week Alli went into labor and delivered two boys. 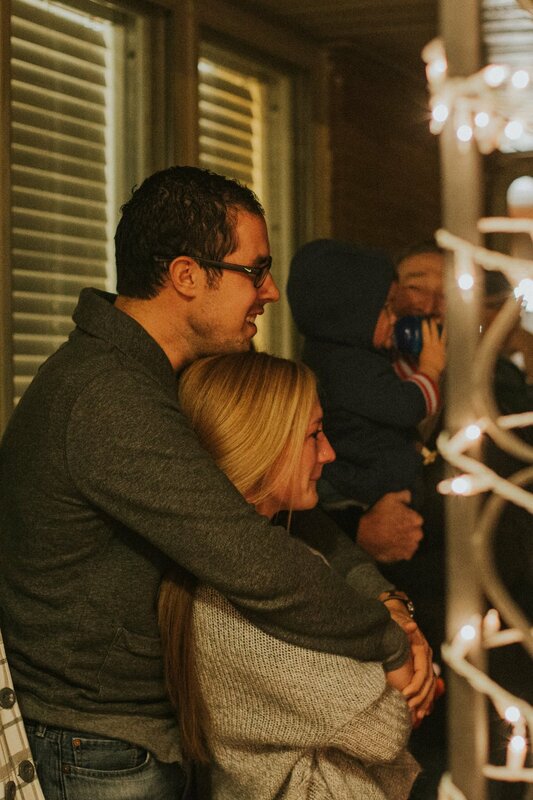 Palmer was delivered straight into the arms of Jesus while his brother Crosby was about to spend about 8 weeks in the NICU. As you can imagine, the balance of processing the grief and joy they were experiencing was overwhelming. Everyone wanted to help but sometimes it’s hard to know how to help best. We collected the names of those that wanted to help and the number of people just kept growing. Pretty soon we had a village of people that were just waiting to hear how they could help - because Shawn and Alli are the kind of friends that would be helping any of us. We received a donation that was earmarked to help with the nursery so we talked to Shawn and Alli about what they needed. 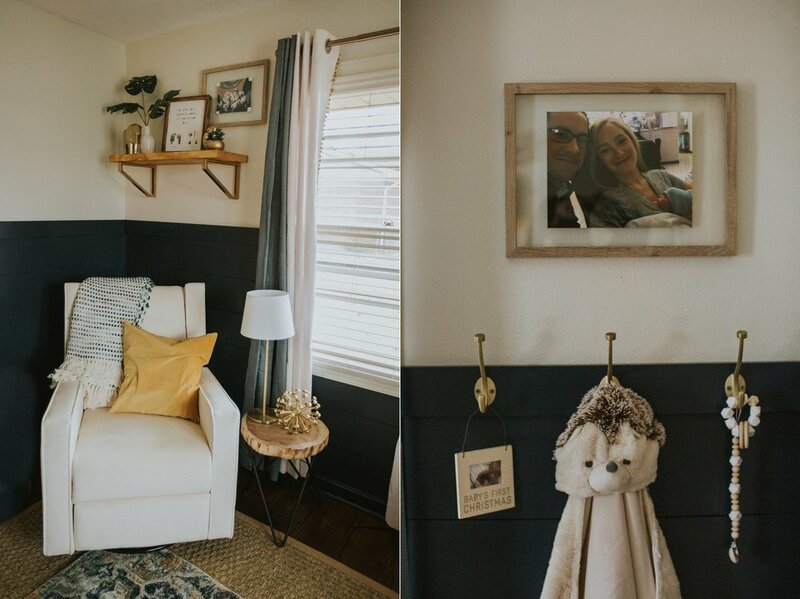 With the time they were going to be spending caring for their one year old and going back and forth to the NICU they really didn’t have much time to put a room together. We were HAPPY to offer to design their nursery and they agreed to keep the door closed as we worked on the room! Everything we did would be a surprise. People JUMPED at the chance to help! Every need we had was filled by people that knew and loved Shawn and Alli - and even some that didn’t know them! 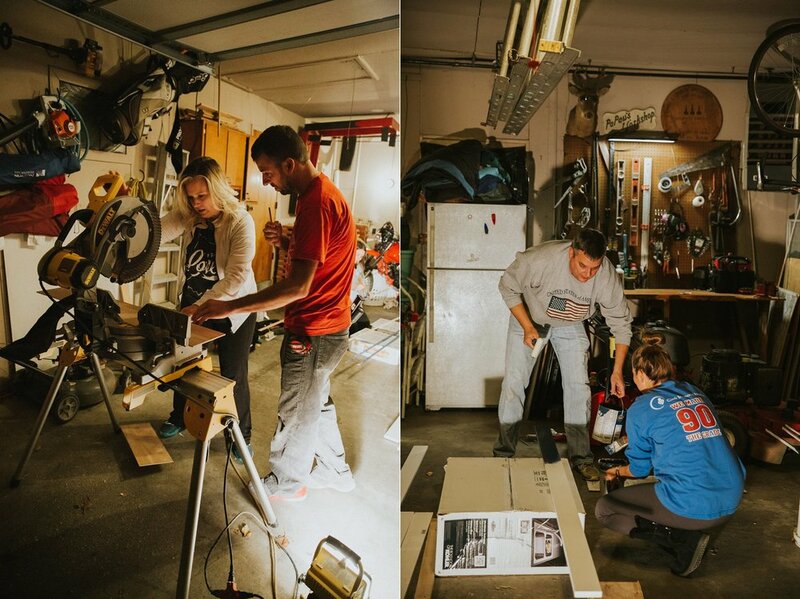 We had volunteers picking up supplies, cutting wood, putting together furniture, sewing curtains, raking leaves, putting up Christmas decorations, taking meals, babysitting their one year old, offering to pray, donating money - and the project took on a life of its own! It was absolutely incredible to see so many people come together for one purpose - to LOVE well. It didn’t matter that we didn’t know each other, that we were all different ages, that we didn’t go to the same church - God was moving and working and pulling everyone together to be the Church! I was seeing people every day be the hands and feet of Jesus as they joined us in this project and it was beautiful. The night that we gifted the nursery to Shawn and Alli we sat in the living room and prayed first. I knew they would be overwhelmed when they walked in so I reminded them that they WERE deserving of this gift. That this wasn’t just about a nursery but was a story of hundreds of people that wanted to be a part of something bigger than themselves! We placed a scroll in the room with every name of those that were a part of this project - and it was over 20 feet long! 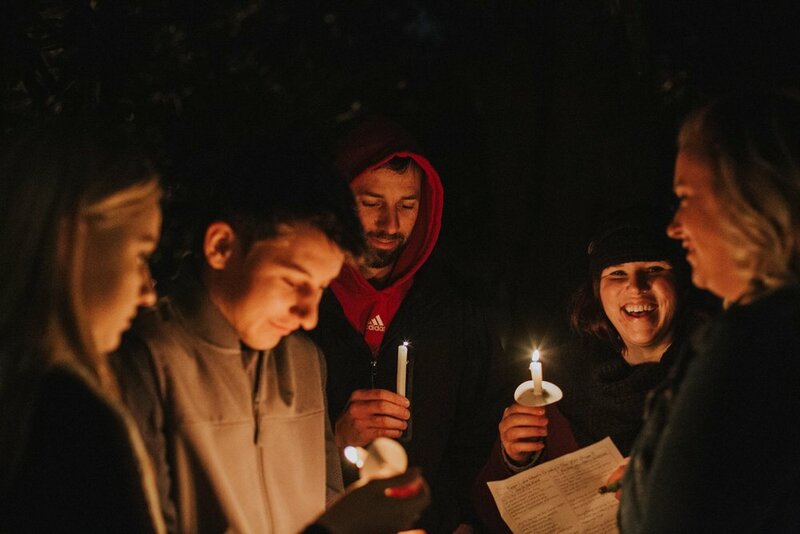 Shawn and Alli had some time alone in the nursery to take it all in and meanwhile, nearly 200 people were gathering on their front lawn with candles to sing Christmas carols! It was one of the most beautiful things I have seen. People were actively participating in the healing that was taking place in Shawn and Alli’s hearts. They were coming together for such an amazing purpose. 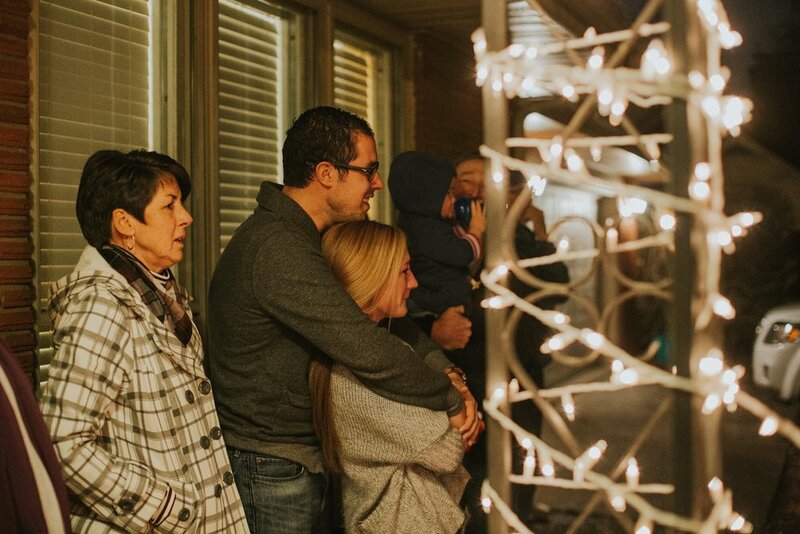 The whole evening was filled with love and joy and hope and a whole lot of Jesus. I’m forever thankful that God chose to use us to be a part of this beautiful story of healing and hope and community. It will always be a reminder of what can happen when people are obedient to God’s call to love one another well - it is so powerful and so good! Watch the story unfold in the video below! Thanks to Barb for sharing! But there is more to this story! After we completed the nursery and people saw it on facebook, we had more and more folks asking to be a part of our next project. All those questions had us thinking and praying about where God was leading us. This group of gals has decided to make this a possibility for more families in need. We started The Nursery Project. 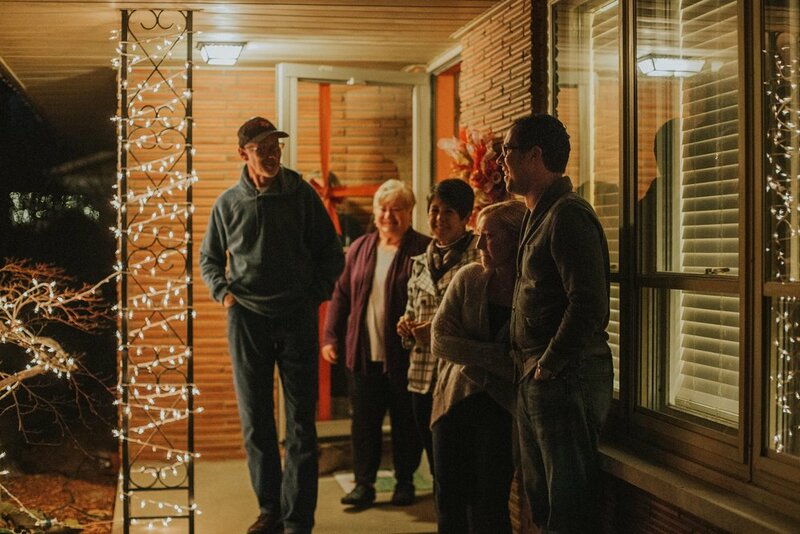 It's about activating a community of people around a family in need. It brings our passions for design, art, community, and service under one roof and it's so exciting! If you want to be a part of the Nursery Project, or just want to follow along click here to join our facebook community!